NEW DELHI: Traders across the city experienced the birth pangs of GST on Saturday. They were confused about the billing system and the software to be used. Some couldn’t install it and others complained that they had not been able to figure it out. And, strangely enough for a weekend, many said fewer customers had turned up at the popular bazaars though malls were a different story. “We are yet to install the software. Moreover, many traders are complaining about the complexity in the new software. All records have to be updated in the software before we can issue bills. The government should have conducted workshops for us to understand the basic things,” said Sanjay Bhargava, general secretary of Chandni Chowk Vyapar Mandal. 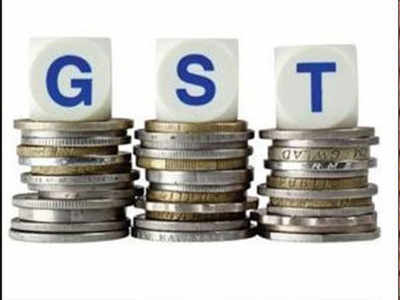 The president of Sarojini Nagar market association, Pramod Sharma, said the government should have implemented GST from next month. “None of us is ready, no one is able to understand how things work now. The government should have implemented it after ensuring that the traders become familiar with the new system. There is still confusion about stocks — we have learnt that we need to get rid of the old stocks within two months. It is not possible,” he said, sounding exasperated. Some outlets had put up signboards outside, warning about delays because of the new billing system. “Dear customers, there might be a delay in billing due to GST rollout. Inconvenience caused is deeply regretted,” said a sign outside a grocery store in Jangpura. “The government has been unable to clear the confusion. We have been unable to make our billing system GST-compliant although the prices are still the same,” said Pushpa Singh, who manages Shahnaz Hussain’s outlet in Select Citywalk mall. This phenomenon was visible across markets. “There are no sales today. We all are surprised. Generally weekends are hectic for us but today it was a disappointment,” said Yoginder Dawar, president of Lajpat Nagar Central Market. “After adding up all kinds of taxes like VAT, cess, kisan tax and swachhta cess, our total tax was 18.5%, but now they are saying it will be 18%. We will have to wait and watch how the new regime unfolds,” added Sagar. Most traders were yet to revise rates. The manager of Giani’s Saket branch, Nikhil Kumar, said, “The owner of the chain has said rates will be revised after five-six days. We are at present operating with the pre-GST rates” While the rates remain the same, the tax column in the computer-generated slip showed the GST number, the new tax identity of the outlets.